The 116th birth anniversary of famous poet and litterateur Jasimuddin, popularly known as ‘Palli Kabi’, was observed in Faridpur on Tuesday. 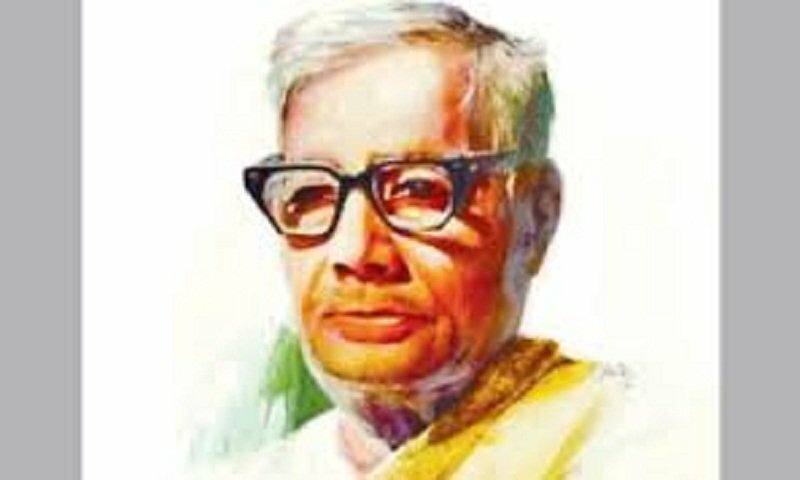 The poet was born on this day of 1903 in his maternal uncle’s house in Tambulkhana village in Faridpur district. As part of the celebration, Deputy Commissioner Begum Umme Salma Tanjia, also the president of Jasim Foundation, along with superintendent of district police Md Jakir Hossain Khan paid floral tributes to the poet’s graveyard at Ambikapur. Later, people from all walks of life and members of different cultural and social organisations paid their respect to the poet. Following it, a discussion meeting and a doa mahfil were held at the yard of the poet’s house. Jasimuddin’s ageless creation ‘Naksi Kanthar Math’ translated in foreign languages. Besides he is also the father of many remarkable writings like Sojan Badiyar Ghat, Rangila Nayer Majhi, Matir Kanna, Suchayani ,Beder Meye, Pallibadhu , Thakur Badir Abinay , Dalim Kumar etc. When he was still a university student, his poem ‘Kabar’ (Grave) was included in school textbooks. He is the key figure for the revivals of pastoral literature in Bengal during the 20th century. A versatile writer, Jasimuddin wrote poems, ballads, songs, dramas, novel, stories, memoirs, travelogues, etc.